The Indian paper industryis poised to grow and touch 25 million tonnes from 20.37 million tonnes to 2019-20 from 2017-18 at the rate of 10% per annum, according to a recent report by the Associated Chambers of Commerce and Industry of India (ASSOCHAM). India has emerged as the fastest growing market when it comes to consumption, posting 10.6% growth in per capita consumption of paper in 2017-18, reveals the ASSOCHAM paper. India produces many varieties of papers, namely, printing and writing paper, packaging paper, coated paper and some speciality paper. The paper industry in India looks extremely positive as the demand for upstream market of paper products, like, tissue paper, tea bags, filter paper, light weight online coated paper, medical grade coated paper, etc., is growing up, the report says. Major issues confronting India’s pulp and paper industry are high cost of production caused by inadequate availability and high cost of raw materials, power cost and concentration of mills in one particular area, non-availability of good-quality fibre, uneconomical plant size, technological obsolescence and environmental challenges, highlighted the report. There are not many mills that have integrated wet-end systems in the overall control strategy. 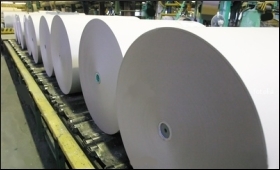 The paper mill, is the formative stage in a paper making process and any forward control strategy results in impressive gains in terms of quality. Likewise, energy, being the significant portion of production cost, is getting less attention in terms of monitoring the overall consumption of power across various sections of the plant, the report said.